Floriade at its finest | Where to next? Today we’re taking a quick diversion from South America because it’s spring in Australia, and Canberra is enjoying flower overload. In Commonwealth Park alone, more than a million blooms are captivating crowds from across the country and across the world. 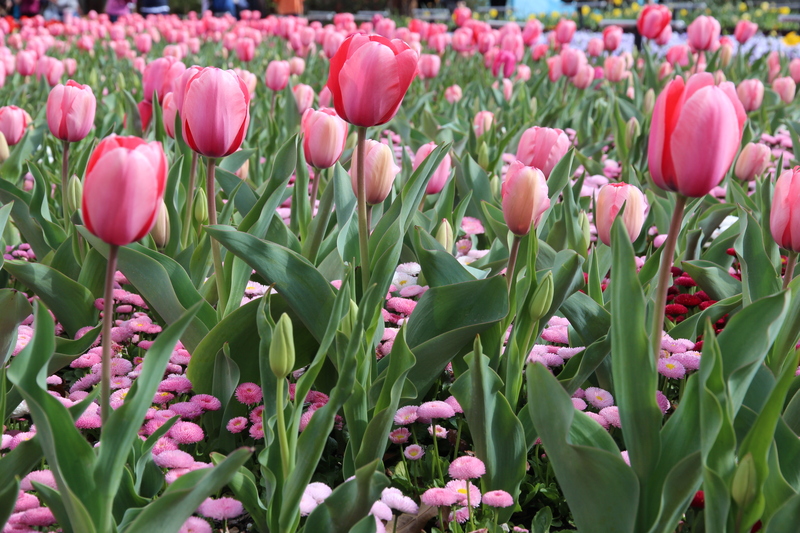 All these petals—and pollen—are thanks to Floriade, the Southern Hemisphere’s largest flower show. 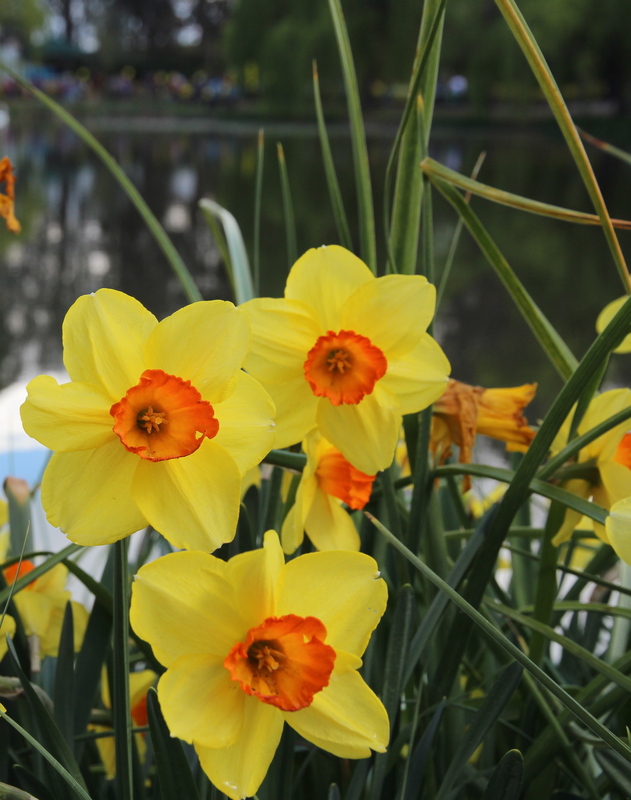 Floriade started in 1988, to celebrate the 75th year of Australia’s federation. It was a one-off back then, but was so popular that it has carried on ever since. 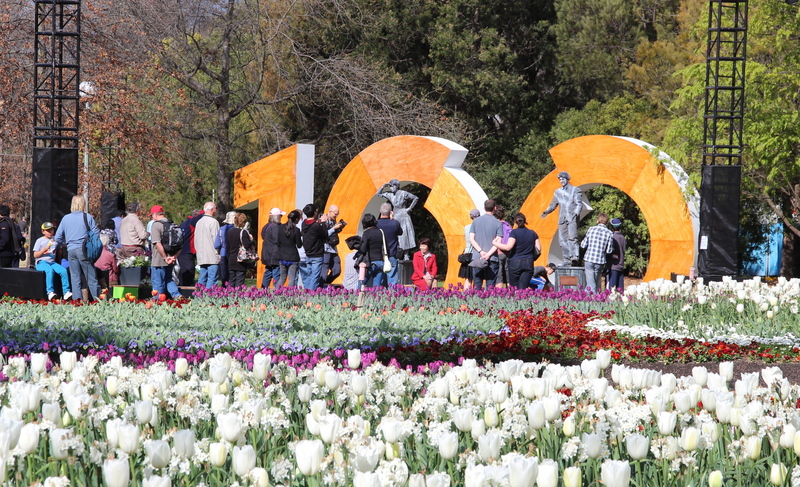 This year, Canberra celebrates its 100th birthday and, along with the community, Floriade has grown and changed. I remember the years when the organisers tried to charge admission. What an uproar! I think it went on for two years—the uproar and the charge. The first year EVERYONE had to pay to get in. The second year and after the outrage and kerfuffle, Canberra residents got vouchers to get in for free. Our main argument was—we already pay a shitload in bloody rates (taxes) for this event, so the least you can do is let us is for free. Can’t remember if the admission debacle carried on for more than two years, but now it’s free for everyone. But they get the money out of us in different ways. It’s not the local government collecting the dollars, but the retailers. In addition to all the flowers, there are whole areas devoted to cafes and retailers selling all sorts of things you don’t need, but might. I dropped $100 on our first visit this year (and nothing on the second, although Poor John spent $5 on ice cream). I bought three amazing titanium vegetable peelers (one for me and one for each of the daughters) and a knife sharpener. Not sure about the knife sharpener yet. It didn’t working brilliantly on the first knife that went through the treatment and worked okay on the second. We went back to Floriade today, and I told the fellow that I loved the peelers but wasn’t so sure about the sharpener. He insisted that I bring the knife and sharpener back, and he’d look in to it. Very glad there was no run-around and I’d like to think that it will all work out with a sharpener that I like or a refund. But Floriade’s food credentials go beyond designer nuts, spices and coffee for sale. 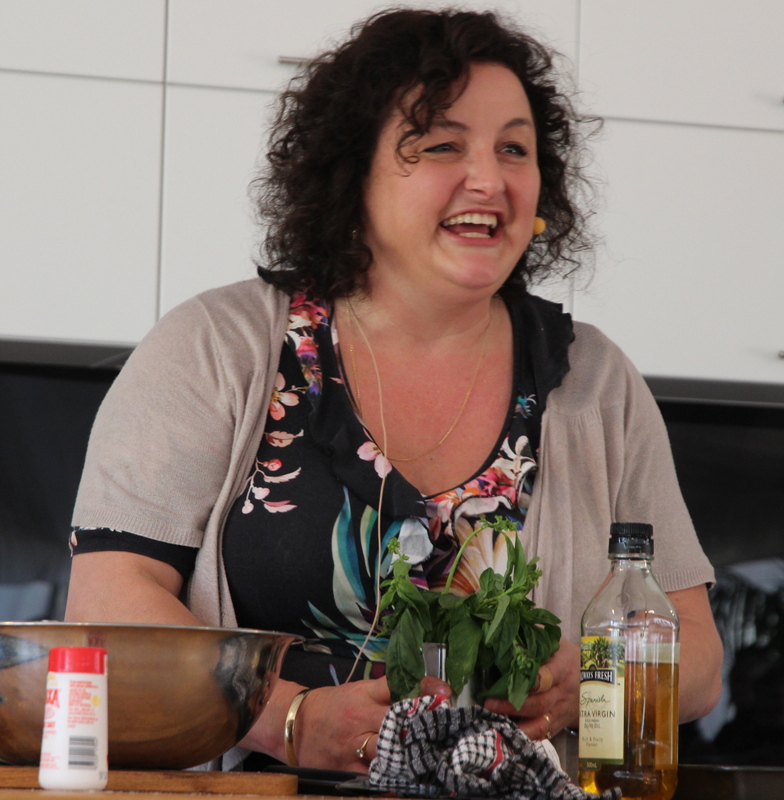 Poor John and I sat in on one of six sessions presented by Julie Goodwin, Australia’s first MasterChef winner. She made a savoury pumpkin pie, working with ingredients provided by Canberra’s Yellow Van. I’m gobsmacked by the Yellow Van’s efforts. This organisation collects and distributes food that isn’t out-of-date, but might be tossed on the rubbish pile. It works with supermarkets and restaurants throughout the city. In the last year, it has collected about 250,000 kilos of food that helps to feed people who need support. Poor John and I travel a lot, but we are looking into how we can support this worthwhile group. The next three weekends will have other famous chefs sharing tips and demonstrations on different kinds of food. I’m looking forward to the lessons on how to grow and pickle olives. Weekends have plenty of musical and dance performances too. Ethnic music wafted throughout the park as we strolled through the gardens, and we saw the East Timorese dancers relaxing after they danced. We stopped at a nifty do-it-yourself demonstration on beautifying your back fence—clearly I need to put Poor John to work and haul him back there next week for new DIY ideas. But back to flowers and other displays. For starters, the gnome event is back. This attraction started almost 10 years ago. 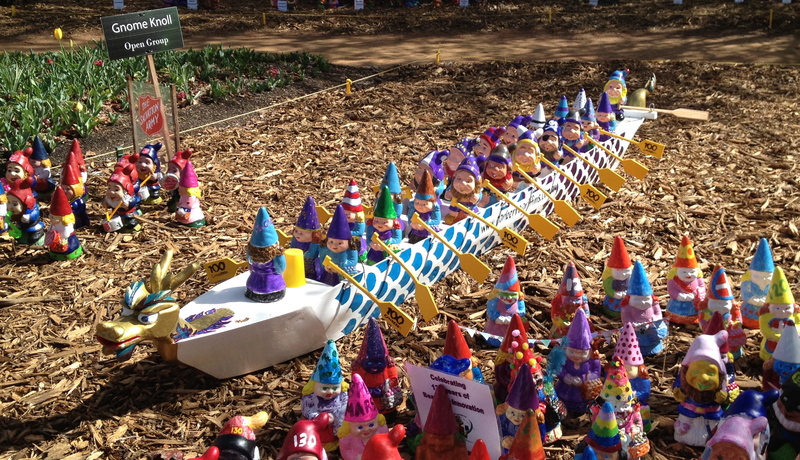 Groups, businesses, schools and individuals can purchase garden gnomes to decorate. Entries can be submitted for the next couple of weeks. As of today, the monochrome and dragon boat entries stand out for me. Entries are open for another two weeks, so I’ll check back and let you know. Floriade’s veggie patch is growing like mad and reminds me that I don’t need a lot of space to produce a reasonable amount of food for the table. I grow lots of herbs and fruit trees, and I’ve already planted three tomato plants. Listening closely to the weather each night so I can protect them from any late frosts. The nearby good-plant, bad-plant display is always an eye-opener, but luckily our own predominately native garden doesn’t have any offenders. As for the flowers, I’m glad I saw the fashion creations before they’ve wilted. These are dresses made of leaves, flowers and other garden items. The creativity is amazing, but I suppose the actual dresses might be a bit scratchy to wear. 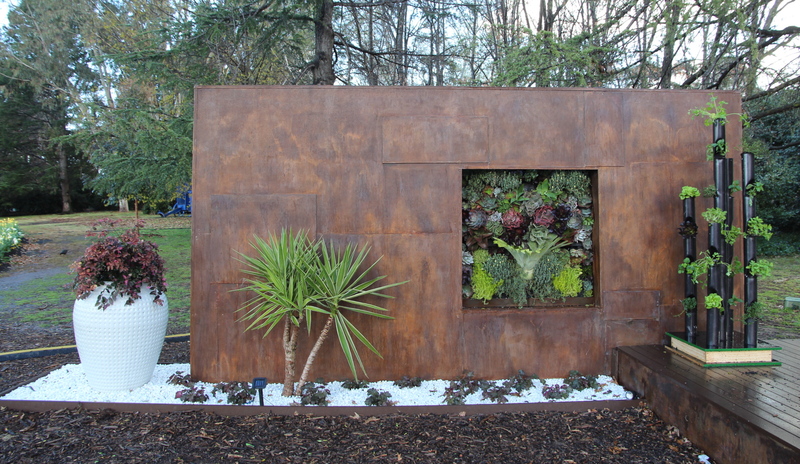 The rest of Floriade’s flowers are doing well. Lots have bloomed early, and I think they will continue to blossom for at least two weeks. Not sure how impressive the last week will be. I could write on and on about this—where to park, the cookery displays coming up each weekend and more, and I might do just that. Ask questions and visit if you can. Or visit the website. Floriade runs until 13 October and there will be special evening extravaganzas on 25–29 September. We’ve never been to a night-time event, so might have to check it out this year. Might do the ferris wheel too. Thank you for the wonderful description of Floriade. I haven’t been since the first one. It’s certainly changed since then although it’s nice to see that tulips still feature prominently. You really should visit if you have the chance. The flowers look wonderful. It’s that time of year here when I want the door open to enjoy the fresh air, but the air is a bit too fresh at 7 degrees C! Oh well, I put on my hoodie, and warmed up to your lovely photos of Springtime starting to bust forth in the Southern Hemisphere. Nice! Spring and autumn are especially beautiful in Canberra. Thanks for stopping by to warm up. Hope it’s not getting too cold for you yet.